NACS recently published the 2016 Retail Fuels Report, and it is full of fun statistics highlighting our great industry. Intevacon is proud to work with so many hard working, smart business men and women who keep gasoline flowing around the nation. Over the last five years, the annual average retail mark-up was 19.7 cents per gallon. On average, it costs a retailer 12-16 cents to sell a gallon of gasoline. Over the last five years, the typical petroleum marketer averaged about 5 cents of profit per gallon of gasoline sold. 72% of consumers use plastic at the pump. Credit card fees comprise about 2-3%, and up to 4%, of a total purchase. Credit card transaction and bank processing costs continue to exceed convenience store profits. The average gross margin on fuel has averaged 6.2% before other expenses are considered. The average credit card fee is about 6 cents per gallon. Most merchants only make a few cents per gallon in pre-tax profit, sometimes even losing money on a fuel purchase. Price is the main consideration for 64% of customers who need fuel. Gasoline purchases account for 4-5% of consumer spending. Convenience stores account for 34.2% of retail outlets in the US (according to Nielsen). 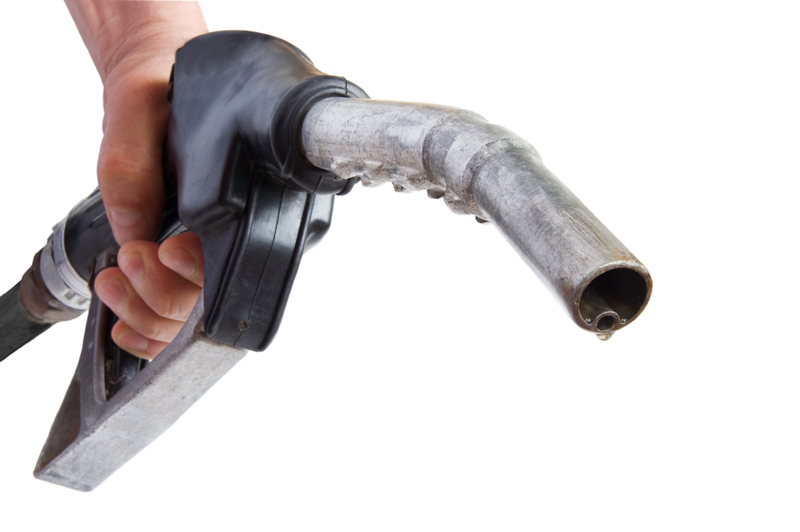 There are 124,374 convenience stores selling motor fuels in the United States. There are more than 154,000 convenience stores across the US. Major oil companies only own about 0.4% of the 124,374 US convenience stores. In 2014, the industry reported profits of $10.4 billion and credit card fees of $11.4 billion. Liability shifted to merchants in October 2015 who were not able to accept EMV cards. Fuel island terminals are required to accept EMV cards by October 2017 to prevent liability. The average cost per store to become EMV compliant is about $30,000, and the industry will pay more than $3.9 billion to move to EMV. Intevacon has also had a big year. We partnered with a record number of new customers, growing our site count to over 2,200 across the US. We also started testing the Intevacon Fuels Network with select customers. In 2016, we plan to roll out the full capabilities of our network, implementing an “Everywhere, not Everybody” approach, as well as providing full ACH payment capabilities to allow our customers to streamline their accounts receivables process. We hope 2015 was a good year for you as well, and we trust that you are also excited about a big year in 2016. If you would like to reach out to us to discuss automating your fleet cards or getting involved with our network, please call 678-739-4450 or email us a moreinfo@intevacon.com. This entry was posted in Fleet Card, Uncategorized and tagged convenience store, Fleet Card, NACS, Proprietary, swipe fees on March 11, 2016 by meridithussery. The term HOUSE ACCOUNT connotes relationships, trust, and repeat business. Our business facilitates this important function by automating house charges and making it easier for you to grow your business and focus on your customers. Intevacon is the leading software company to provide real time proprietary payment card processing. Centralized communication and updates: the Intevacon system is real time and allows updates to accounts, cards, drivers, and merchant sites from one central host. This means that all updates are immediately recognized across sites and your customers experience consistent service everywhere they fuel. Increased security: only authorized drivers are able to fuel by enforcing PIN at the pump and register. Additionally, other prompts and/or product restrictions can be enforced to further manage the transactions that occur. Purchase management: offer product restrictions to your customers to help them manage their fleet. Also track driver and vehicle ids for each transaction. Pay at the pump convenience: your customers can use their cards to pay at the pump or they can go inside for purchases. Improve the customer experience and reduce transaction time for your store clerks. Streamline billing processes: invoice your customers directly out of our system. We provide full controls for you to bill on your schedule and give your customers detailed transaction information on their invoice. We also provide a transfer file to upload directly to your accounting system for quick reconciliation. Customer Access: give your customers online access to view their activity and manage their fleet account. This gives your customers the autonomy to make simple changes to their account and reduces the requests that you have to fulfill. Reports and invoices are also accessible to your customers with online access. 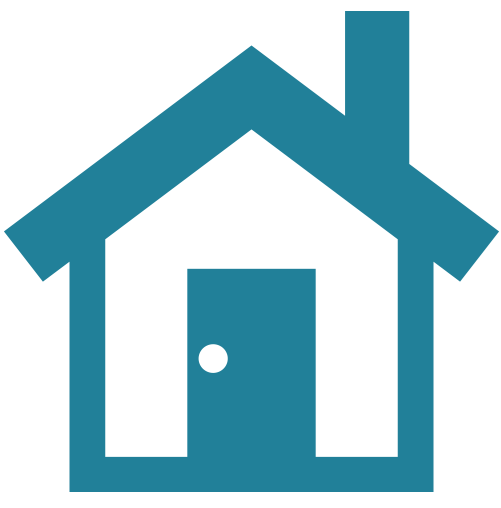 There are many more benefits that Intevacon provides by automating your house charges. We’d love to talk to you about how to partner together to grow your business. Find out more about the Intevacon Fleet Card System by reaching out at 678-739-4450 or emailing moreinfo@intevacon.com. This entry was posted in Fleet Card and tagged convenience store, Fleet Card, Proprietary, Relationships on January 14, 2016 by meridithussery. Thank you, NACS, for always providing such great resources! The only statistic listed above that is not positive is the one involving credit card fees. Intevacon continues to help our customers hold onto their margins by eliminating credit card swipe fees with the Intevacon fleet card. We are proud to be part of the convenience store industry, and we love helping our petroleum marketers as they grow their fleet business with loyal, recurring customers. We’ve had a great year getting to know new customers, while also watching existing customers add new sites and new customer accounts. Intevacon has a lot in store for the remainder of 2015, and we are excited about BIG things! Find out more about the Intevacon Fleet Card System by reaching out at 678-739-4450 or emailing moreinfo@intevacon.com. This entry was posted in Fleet Card and tagged convenience store, Fleet Card, NACS on July 15, 2015 by meridithussery. The recent low gas prices have made a lot of consumers happy. According to a NACS article published this week, 91% of consumers say that the lower gas prices are good for the economy, and 95% said that the lower gas prices make it easier for them to go on vacation. This is good news for petroleum marketers, who prosper when fuel consumption increases. Even with lower gas prices, though, consumers still want to find the best deal on fuel. A survey conducted by NACS and reported by CSP indicates that 71% of consumers said that price was the most important factor in deciding where to buy gasoline. What’s more, NACS reports that 63% of consumers were willing to drive 5 minutes out of the way to save 5 CPG, 72% were willing to pay cash, and 65% pay with cash or use a loyalty card to save money. What are consumers doing with the money that they are saving at the pump? According to the Wall Street Journal, consumers are saving about $60 per month from lower gas prices, but these dollars are not all translated into increased discretionary spending. As stated in the PYMNTS.com article titled “Americans Pocketing Gas-Price Savings,” about 25% of the monthly savings are being spent on groceries, clothing, and fast food. Given that about 35% of gas customers claim to also go into the store to make purchases after fueling, these fuel savings may bring more consumers into the retail stores. Intevacon offers two products that can help attract customers looking for the best deal, but even better, our solution provides a level of loyalty that keeps consumers returning to your sites. With the Intevacon fleet card, petroleum marketers can sign up businesses to fuel exclusively at their sites. To attract these customers, the petroleum marketer may choose to offer CPG discounts, cost plus pricing, or any other discount arrangement to achieve the business. With online access, all fleet users can manage their accounts and view transactions in real time. For consumers, petroleum marketers can offer the Intevacon Prepaid Card that can be loaded and reloaded with cash (or any other method of payment). POP discounts at the pump provide the CPG discount at the time of the transaction. Given that about three quarters of the consumer population bases their selection on discount potential, this card will attract loyal customers while also increasing cash flow. Intevacon is in business to see the petroleum marketer succeed, and we design our products to achieve this result. Our fleet cards and prepaid cards can help increase volume and keep margins high. If you want to find out more about Intevacon or talk to someone on our team, please call 678-739-4450 or email moreinfo@intevacon.com. This entry was posted in Fleet Card, Prepaid Card and tagged convenience store, CPG Discount, Fleet Card, Low Gas Prices, Prepaid Card on February 4, 2015 by meridithussery. Branding carries a whole new level of significance to the petroleum marketer. We are all familiar with the implications of oil brand selection—Marathon, BP, Shell, Chevron, etc.—and petroleum marketers are very intentional with this decision. But what about your brand? Customers chasing an oil brand are just as likely to visit a competitor where their fuel rewards card is also accepted. Your most loyal customers are the ones who identify with the brand that you have established over time. This brand, your brand, is more valuable than any promotion or canopy endorsement. The greatest brand loyalty is achieved when value is added and a relationship is formed. In a retail environment, there are less distinguishing opportunities to develop a relationship and truly add value to the customer experience. Clean bathrooms and low prices are nice, but they are not uncommon enticements. Intevacon cares about branding too, and that is why we work so hard to provide the best fleet card solution in the industry. We stand behind our product, and we walk beside our marketers to offer a solution that will help them grow their businesses. Offer a fleet card with your brand and help your customers start to identify your stores as their stores. By offering your fleet customers a card that represents your brand, you are creating a business relationship and giving your customers the tools to better manage their fleet business. Intevacon makes automating house charges easy, and we have seen our petroleum marketers grow their fleet business by leveraging the brand that they have spent years cultivating in the community. Want to find out more about Intevacon? Give us a call at 678-739-4450 or email moreinfo@intevacon.com. This entry was posted in Fleet Card and tagged Branding, convenience store, Fleet Card, loyalty card, swipe fees on January 14, 2015 by meridithussery. Being the most popular choice with the average customer is a coveted spot. Popular is the low hanging fruit of a sales activity. A recent article was published by Convenience Store and Fuel News which reported that consumers prefer to fill their tanks at grocery stores and wholesalers instead of at traditional convenience stores. This can be formidable news to the average c-store operation, but it doesn’t have to be. Strategic petroleum marketers know that there are opportunities to capture repeat, loyal fleet customers. There is a statistics term called probability distribution in which a larger share of the population rests within the tail of the power curve. See the plot below for an example. The music industry is a great example where the long tail applies. There are the top ten billboard music artists who comprise the head of the power curve, and then there are the niche artists who comprise the long tail. The niche artists create the same amount of revenue collectively as the one hit wonder billboard artists, though they may have to generate buzz one fan at a time. So how does this probability distribution translate to the convenience store industry? Think of the head of the curve as the customers who are looking for the best deal and the most convenience. It would be great to capture that customer base of business. But there is equal opportunity in the long tail. Pursue the fleet card customers who want to manage their business fueling activities through the Intevacon system. Every cardholder that you sign up with a fleet account becomes a repeat customer, often with multiple vehicles to fuel. Government accounts, commercial accounts, consumer accounts—these are all opportunities in the long tail with fleet. When high value retailers are winning on price, leverage your local relationships with a comprehensive fleet system. The fuel landscape is shifting in the convenience store industry, but with the right business model, this shift can be viewed as an opportunity. By cutting swipe fees and introducing a proprietary fleet and prepaid card, you can grow your business and gain a valuable partner in Intevacon. This entry was posted in Fleet Card, Prepaid Card, Service and tagged convenience store, Fleet Card, high value retailer, long tail, Prepaid Card, Proprietary on June 30, 2014 by meridithussery.